Until recently I didn’t do much long distance traveling, particularly air travel. This was mostly because I lived an easy drive from most of my family and friends. Now that I live a few states away I’ve been flying more during the year which isn’t cheap. Being the frugal person I am each time I travel I try to find a new way to save some money. 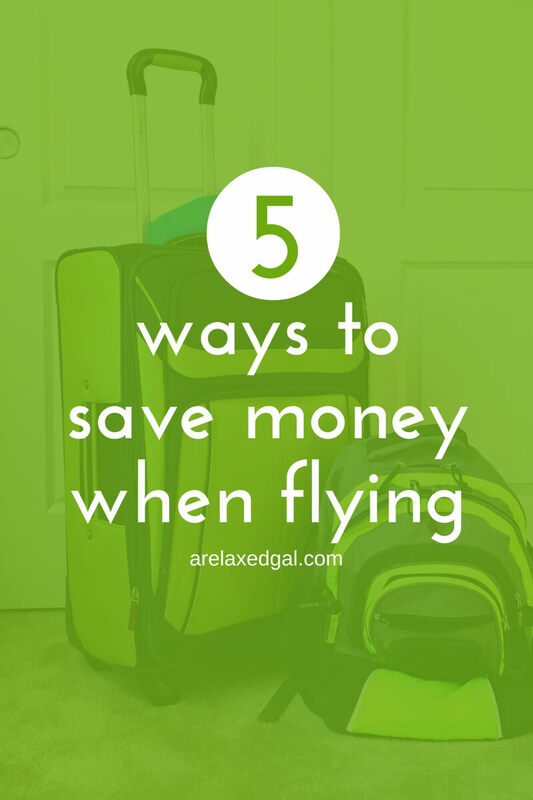 So as we get ready to roll into the biggest travel season of the year - Thanksgiving, Christmas and New Years - I wanted to share my five tips to make flying a little cheaper. This is a neat little feature I found when booking directly with the airlines. Most if not all of the major airlines allow you to hold a flight for free for a certain amount of time. This is a great money-saving feature to take advantage of because the price of an airline ticket can change daily. I’ve had a few experiences where the cost of tickets increased overnight. During one of those experiences, the cost of the ticket increased by about $70. I was so glad I decided to hold the ticket 24 hours for free because I was able to book it at the lower price. I like to have water with me no matter how I travel and I don’t want to pay a lot for it. When I travel for pleasure I tend to take an empty reusable water bottle with me. This way I can get through the security checkpoint and fill up my reusable water bottle at a fountain near the gate. It’s also nice to have a reusable water bottle on hand when I’m at my destination. The cost of buying a reusable water bottle is so much less than buying water when you travel. If I think about how much money I could end up spending on water when I travel at about $3 a bottle I easily make my money back and then some. When it comes to reusable water bottles, I’m like using ones without a straw when I travel. This is because air can build up in the straw causing the water to squirt out when you open the bottle. I learned that the hard way when I opened my water bottle mid-flight and ended up drenching the man sitting in the seat in front of me. When I fly my eating schedule gets all messed up. I either miss a meal or have to eat a meal earlier or later than normal. And not all flights provide a complimentary pack of pretzels or peanuts. So I’m always grateful when bringing a snack from home. Great cost efficient snacks that pack well are trail mix, granola bars, chips in a can or pretzels. My snacks have also been a life saver on occasion when I was at my vacation destination. Depending on how long you’ll be gone getting a ride to the airport can be cheaper than leaving your car there. Especially if you're going to be away for a week or more. Find a friend or relative who can drop you off and/or pick you up. You can also use ride-sharing services like Uber. And as a bonus, if you're new to Uber you can use my promo code leahm1041ue or link to sign up and can get $20 off your first ride. 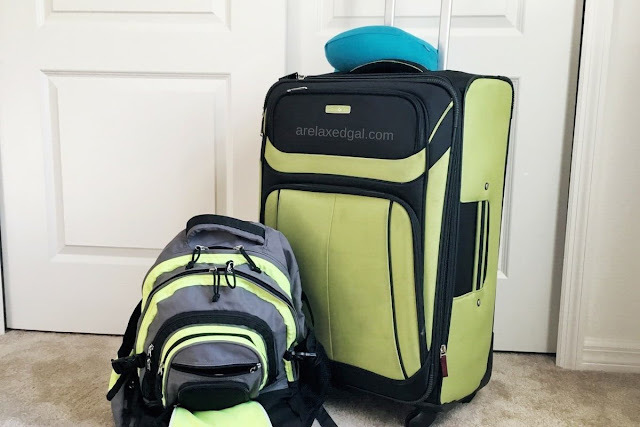 As another plus, getting a ride to the airport can also cut down on your overall travel time because you don’t have to factor in time to park your car and getting from the parking lot to the terminal. While I haven’t had to use them I always pack at least one change of clothes in my carry on when I check a bag. This helps me have more room in my checked bag so I don’t go over the limit and also have room for anything additional I bring back. Additionally, I use the clothes in the carry on as a backup in the event my checked luggage gets lost for a day or two. I also pack some of my more important toiletries in my carry on. This way I have to spend money on products I already bought. To fit all of these items into my carry on bag when I use the eBags packing cubes. These are lightweight cubes that you can pack your items in and then put the cubes into your suitcase. They help you save room and keep everything organized in your bag. Do you have any money saving tips for air travel? Although i mainly book through airlines, i always check site like expedia for various deals. I also check daily to see the pattern of when prices go up and down month in advance before i book. Great tips! I've tried using Expedia in the past, but tend to find better deals for hotels than for flights. Good idea to look for a pattern in the flight prices. Thanks for reading Tomes! I always only travel with carry on luggage. Saves a lot of money as a lot of air companies now charge for ckecking in luggage. Totally agree. I tend to carry-on my luggage more often than not as well. The exceptions being if my trip is 3 days or more I check a bag. Especially if I'm flying American cause I can check a bag for free with them or Southwest who allows two free bags. Thanks for reading Lisa K!